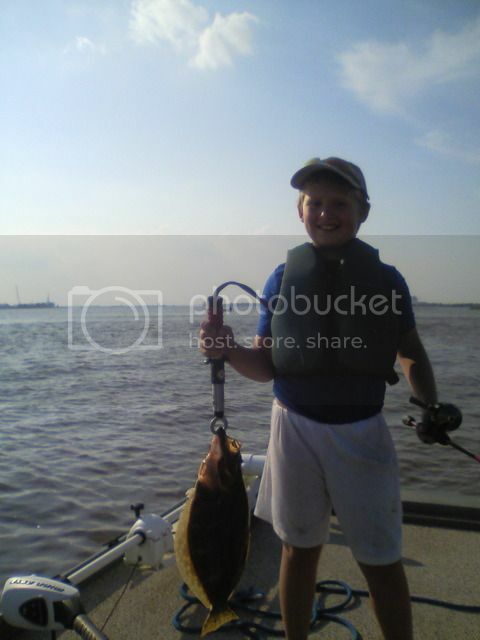 Thunktank wrote: I'm taking my boys fishing tomorrow at the jetty or docks. Going to use anchovies, muscles and squid pieces for bait and see what bites. "Taking my boys fishing" sounds like a euphemism for that thing I wrote about above. My daughter's catch from yesterday. 5 nice Northern's on Friday. Only one yesterday but we had fried fish and eggs for breakfast today. I am opting out of the optional signature. Last night I met my niece's future husband for the first time. He's a dairy farmer from New Zealand who manages about 5000 head of stock. Anyway, he's on vacation here in his off season and one thing he really wants to do is go fishing. The Yellowtail are in so I'm going to get us set up to go next week. I haven't been fishing big game in a while, looking forward to it. I haven't been fishing since we moved to Minnesota three years ago. Time to change that. I'm going to pick up my license this week. I know of a spot I want to try where the Rum River joins the Mississippi. Daughter caught an 18 inch bow. Same spot I caught mine a couple weeks ago. I caught a couple of Yellowtail this morning. Now I'm fixing some of it for dinner. 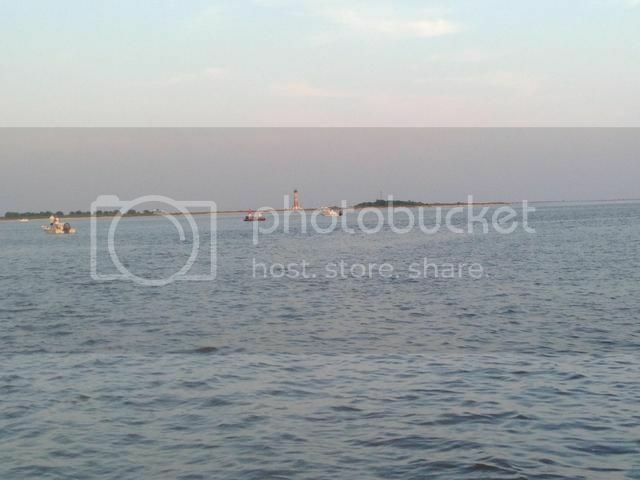 Last edited by Thunktank on Fri Jun 19, 2015 10:46 am, edited 1 time in total. Nice catches there Bilder and Thunk! OK boys and girls - I'm running low on streamers. I need recommendations for somewhere to acquire more flies - particularly streamers, but I'll need other ones eventually. There is no local place to find flies, the closest "local" would be a Bass Pro in East Peoria. A solid hour away and not exactly inexpensive. Suggestions? My Yellowtail catches come out to about seven dollars a pound once figuring in the cost of the trip, hooks used and fresh line on my reels. Not bad. Gabriel wrote: Nice catches there Bilder and Thunk! Start to tie them yourself. A starters kit is worth every penny. I did start to look at that possibility this past winter. Unfortunately, I need to be a bit more realistic about what my arthritic hands can handle. Fly fishing itself is demanding enough without adding another delicate task. If you can tie a size 14 fly to your line, you can probably tie flies at home on the bench. My eyes are what give me fits. I have to use a lot of light and high powered glasses these days. The other day I found myself at the lake without my reading glasses so I rummaged around the car and found an old pair of prescription glasses. I had to wear them AND my current bifocals in order to tie on a fly. And as soon as dusk set in (the magic hour for warm water fly fishing) I had to go home when I broke off a fly because I couldn't see well enough to thread on a new one. I see some guys trying to fly fish in the surf around here. I'm just not convinced that's it's the most effective way to fish for those fish. Though they do catch some. Fred, did you fly fish in So Cal? I'm at the point where I need to buy at least one new reel for myself and decide if one of my old ones is worth salvaging and rebuilding. I'm also going to outfit my oldest boy to start fishing some of the inshore stuff. I want to find a good saltwater spinning outfit that will last for a long time to start with. I'm a big fan of conventional gear myself, but it takes skill to cast that stuff and he will lose interest in fishing if he's frustrated with birds nests while learning, not to mention I don't want to deal with them either. I have more gear than I wish, because as usual I don't have the space to keep it all out of the way. And to think that my sons are needing their own outfits too. Lack of space and traffic are the biggest problems of living in Orange County. But to cover the basis for everything from trout to tuna is no small task for three fishermen. Anyway, I'll be fishing a lot more again. I'm a meat fisherman who catches and releases for conservation. The goal I have is to wean us off store bought meat and fish over the next couple of years. I'm getting there. 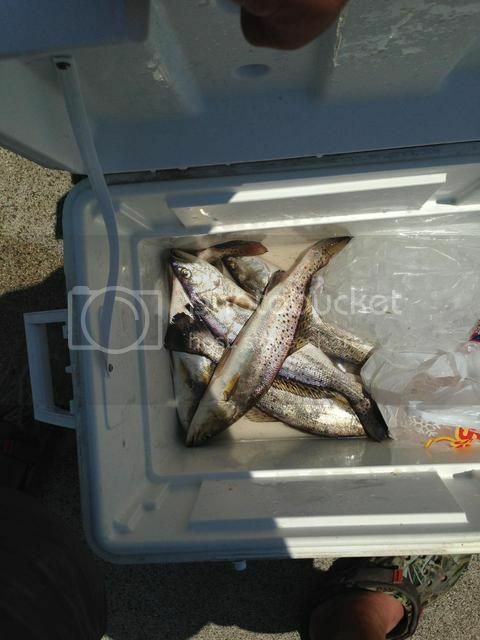 A couple of deer, hogs and regular ocean fishing will keep the freezer full. My wife who doesn't have her gallbladder is really sensitive to much of the fatty pen raised meat in the stores while the lean cuts often lack flavor. She has become a big supporter of my hunting and fishing. Soon I'm going to add some Sculpin to the 20 lbs of Yellowtail meat I pulled off the fish above to add variety. Later there will be tuna, White Sea bass and others. Who needs factory farmed chicken in my household? Thunktank wrote: I see some guys trying to fly fish in the surf around here. I'm just not convinced that's it's the most effective way to fish for those fish. Though they do catch some. I did not get a chance to go fishing last time (or any time) I was in So Cal. I do not think fly fishing is a good way to fish the surf. I think it's great for inlets, protected bays, flats, and marsh areas though. But when I think 'surf fishing' I think waves crashing on to the beach or rocks and 10' surf rods as big as broomsticks with a pound of lead to get your bait (not lure) way out there and hold it out there. And a fly rod is definitely not the right tool for fishing from a pier. I like your self-identification as 'a meat fisherman who catches and releases for conservation'. That's pretty much where I'm at these days too. If I'm fishing water that has plenty of edible fish and I have a reasonable chance of getting them cooled or cooked in a timely manner, I'll keep some. But some times I'm just out for fun catching bass or bluegills and I have no intention of eating them so they get tossed back. have never felt the need for them really. I like spin casting. You can cast light lures or heavy hunks of meat with them and they're easy to use. When I lived in Myrtle Beach we sometimes went out on what we called 'party boats' that would have 15 or 20 fishers along the rails and we'd used bait casting reels then but it was mostly a matter of dropping straight down and jigging over bottom structure. All the offshore stuff I've done has been with bait casting reels, but I've had guides who got everything rigged up and set out. All I had to do was drink beer, reel in the fish and try not to get sunburned. There is some long rod surf fishing here for mostly sharks and rays. But the majority of surf fishing here is with tackle suitable for trout and steelhead fishing in big rivers. Some guys have even started using ultra light gear. Then there's the halibut hunters which is my favorite. We use use light bass tackle with saltwater resistant reels. The only difference is that our light to medium rods are 7 to 9 feet long only to provide some additional stability in.the surf. But very few use the big surf gear here. Then again, most of our fish in the surf are surf perch and small croakers.